Alpine walking tours and trekking are available throughout the summer and autumn from late June to late September so please get in touch if you have specific dates in mind. 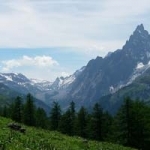 The Tour du Mont Blanc is famous as one of the world’s great walks and offers a plethora of options from big mountain walking days to alpine meadows full of alpine plant life. Below are the details for tours based in Chamonix or on the Tour du Mont Blanc, details of other tours will follow soon. Please contact me if you would like information on the other tours or have an idea for a trek you would like me to lead and assist in organising. 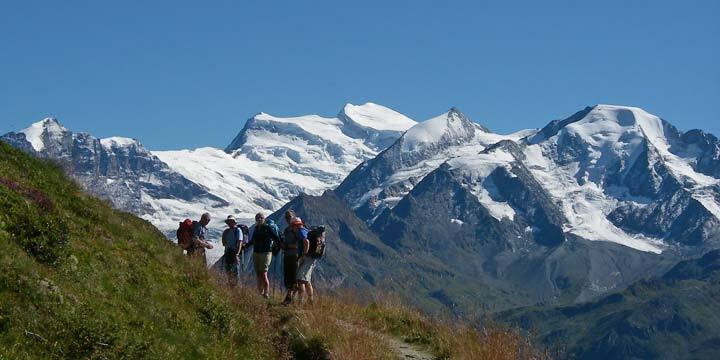 Enjoy the Tour du Mont Blanc’s spectacular highlights in seven day’s trekking. Price for guided trekking is 402.50€ per person plus expenses, based on a group of four. 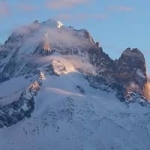 The full circuit of the Tour du Mont Blanc in eleven days trekking takes you around the magnificent Mont Blanc massif and Mont Blanc itself, Western Europe's highest peak at 4810m. 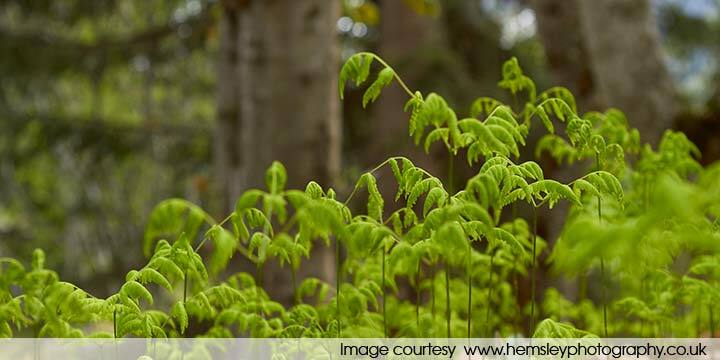 Price for guided trekking is 632.50€ per person plus expenses, based on a group of four. 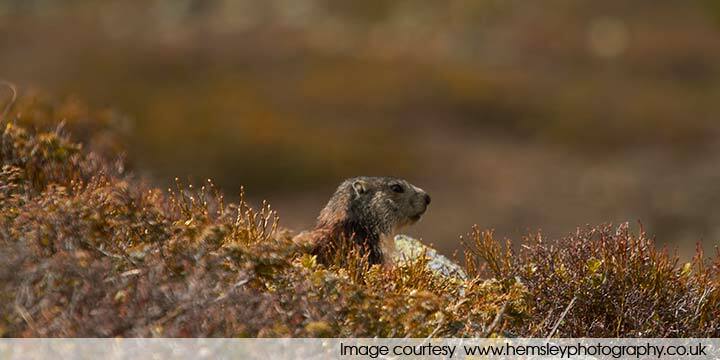 Five days trekking on the Tour du Mont Blanc - Demi Tour North - Courmayeur to Chamonix. 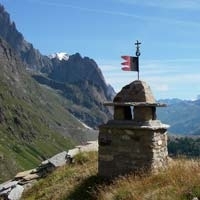 Walk half of the classic itinerary including the crossing of the spectacular Grand Col Ferret 2537m. Price for guided trekking is 287.50€ per person, based on a group of four. 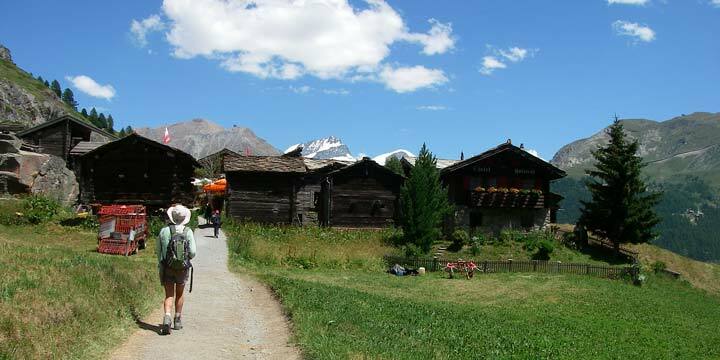 Five days trekking on the Tour du Mont Blanc - Demi Tour South - Chamonix to Courmayeur. Half of the classic itinerary including the mountainous terrain of the Col du Bonhomme 2329m. 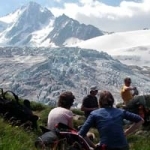 Six days trekking in the Pays du Mont Blanc, Chamonix. Enjoy the alpine experience and fabulous views onto the Mont Blanc massif with daily treks from a fixed hotel base. Price for guided trekking is 315€ per person plus expenses, based on a group of four.